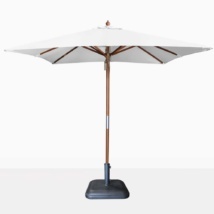 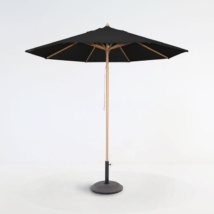 Teak Warehouse offers a full suite of gorgeous patio umbrellas, Cantilever umbrellas and a variety of Outdoor Umbrella stands and bases. 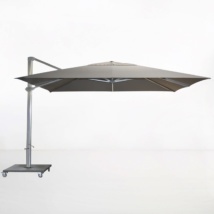 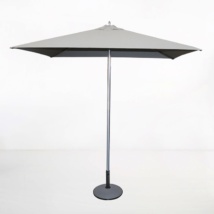 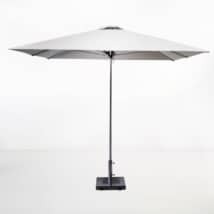 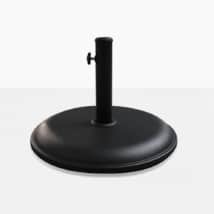 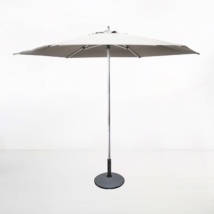 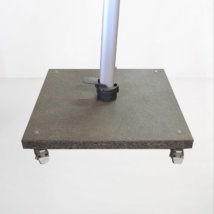 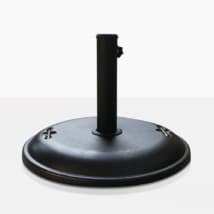 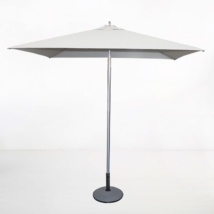 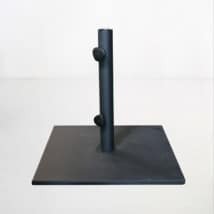 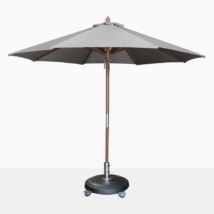 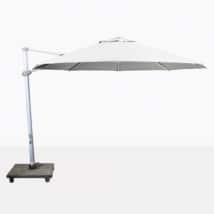 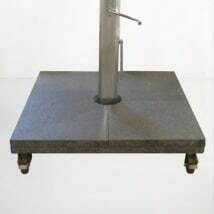 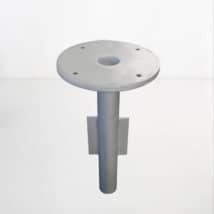 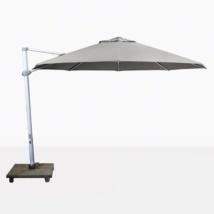 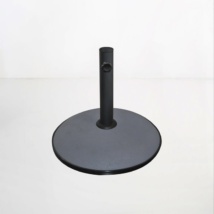 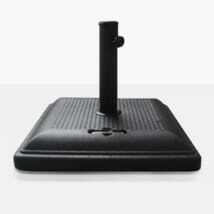 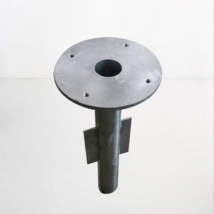 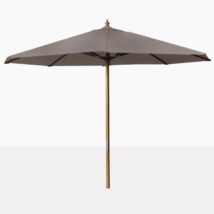 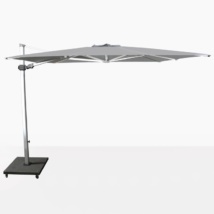 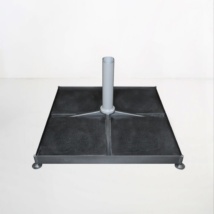 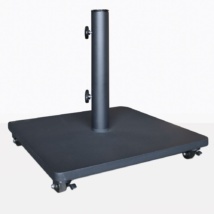 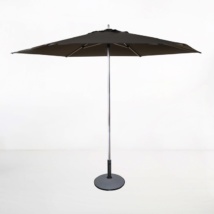 We have everything from a classic standing umbrella to the more advanced cantilever models. 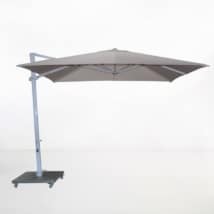 Each customers space is unique to them, so we are pleased to present a huge range of sizes, colors and materials so that everyone can enjoy their outdoors without the harsh sun ruining an otherwise pleasant experience! Starting with the materials, and continuing through to the whole itemized process you can be assured, Teak Warehouse Umbrellas are the highest quality, made to last many years in all types of weather conditions. 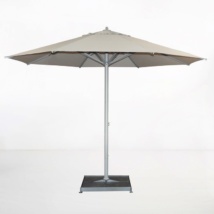 Our Shade Structures are built with premium materials like Sunbrella© fabric, stainless steel, teak and aluminum, ensuring that you will have an umbrella that survives the elements. 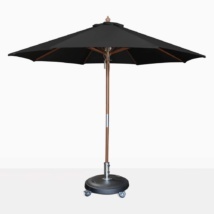 At Teak Warehouse, we specialize in top of the range, high quality outdoor furniture and accessories, so if you’re choosing a patio set for your home or business, why not ask us about our incredible range of umbrellas? We are confident we will have something that suits your needs – from the incredible 13-foot models to a more modest 7-foot option. 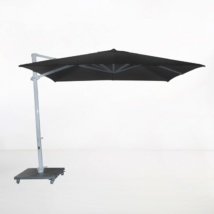 Whatever the space, we can provide an option for you. Try a contemporary cantilever umbrella such as the Kingston or Mauritius models on your large patio with a classic grade A Teak set of deep seating underneath. Perhaps your small patio gets the afternoon sun? 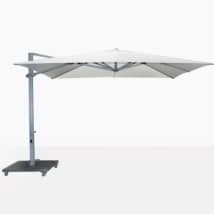 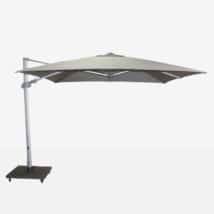 A 7-foot market umbrella will shade you from its harsh rays and enable you to relax in the warmth and comfort of your surroundings. Not only do we offer an incredible range of umbrellas and supporting products such as bases and covers, but we can work out white glove delivery services to almost any area in the USA! Visit our showroom today, explore our website or call us today to discuss what patio umbrella will work best for you!